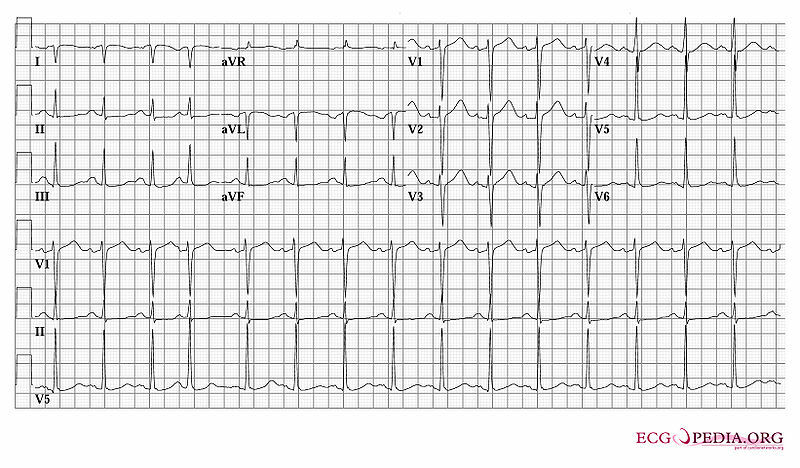 Question: This ECG was made shortly after this patient had been resuscitated. The patient was normothermic. What arrhythmia likely initiated the syncope? What technical abnormality is seen? B. Lead I has a negative P wave and Negative QRS complex. The arm leads were interchanged while recording this ECG. This page was last edited on 10 June 2012, at 09:15.